While Configuration Management has tremendous theoretical potential, most configuration management initiatives fail to produce any measureable value. 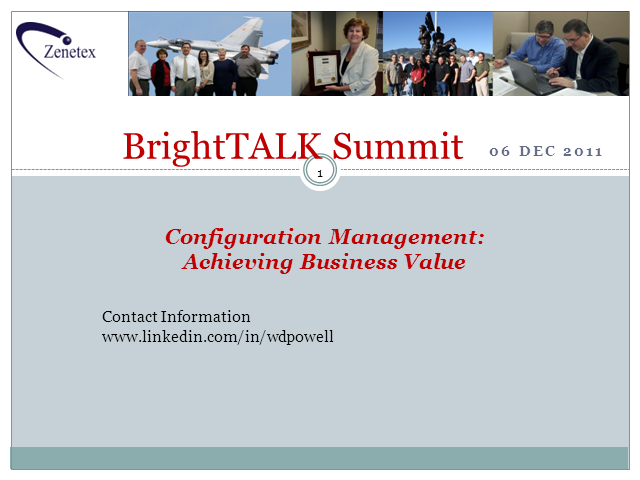 This presentation will cover the critical success factors for achieving business value from configuration management efforts as well as the most common inhibitors that prevent progress. The success factors and inhibitors described in this presentation can be applied to any program or project you have underway or planned and don't involve acquiring any particular product or system.